The brouhaha between the president and the young widow of an American soldier killed in Niger, who died along with three other Special Forces in the same operation, over what was said, how it was said, how it was understood, what was meant, etc., in what should have been sincere and heartfelt condolences has obscured the much larger questions over why is the United States there and what is the United States’ involvement. Predictably, some members of Congress are up in arms over the mission that turned deadly and who put American service members in harm’s way in Africa. 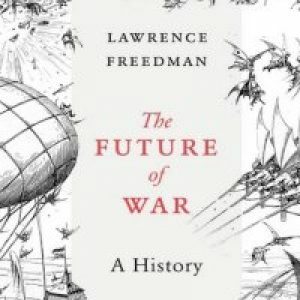 Sir Lawrence Freedman, speaking recently at the Center for Strategic and International Studies in Washington, had sage advice for Capitol Hill, the White House and the Pentagon. “You can sort of drift into things,” such as intervening in a civil war, without assessing possible consequences, defining aims and knowing what the goals are of the side you are backing. One of the leading international scholar on conflict wasn’t speaking directly about Niger where a number of Islamist insurgencies are operating inside its borders and across its ill-defended, much less policed boundaries with neighboring Mali; nor was he addressing what happens next in Syria after Raqqa, the capital of the new “caliphate” is captured. Freedman was looking at the broad sweep of these involvements that the United States, the United Kingdom, France and Russia have become embroiled in. Think Libya; think Ukraine among others. The questions Freedman raised about “drift,” consequences, aims and what are the goals of the side we are backing need to be asked and answered about Niger and any other intervention. They even might have been asked obliquely and answered generally earlier this year, but the exchanges might have been a tree falling in a forest with no one present. If you want to attend a congressional hearing as a member of the general public and almost be guaranteed a seat, plan to be at a “posture” session of Africa Command before the Senate Armed Services or House Armed Services committees. Mali, Niger and other operations in Africa were discussed publicly. Few people were in the audience or likely watching on C-SPAN; few committee members stayed any length of time as well. Freedman knows a great deal about “drift” into war. He served as a member of the parliamentary panel investigating how the United Kingdom joined the United States in toppling the regime of Saddam Hussein in 2003 and the aftermath of the rise violent Islamic extremism that we all are living with here, in Europe, the Middle East, many regions of Africa, large parts of Asia and the Pacific.